Boeing birds grounded in California, Michael Avenatti arrested, a cyclone's aftermath and more. 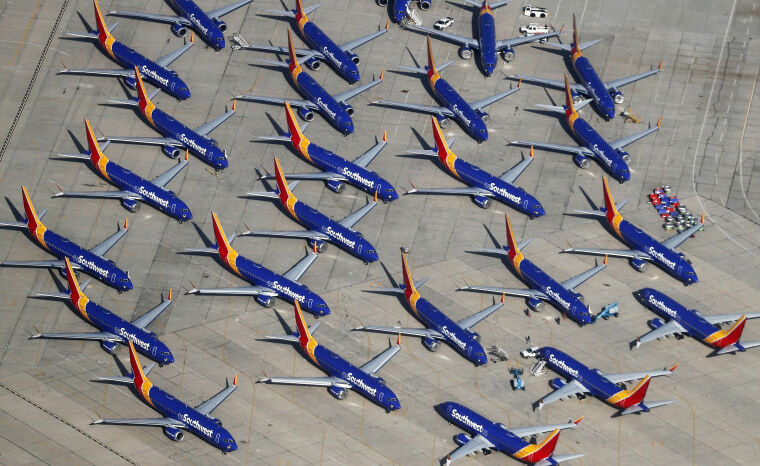 Southwest Airlines Boeing 737 MAX aircraft are parked at Southern California Logistics Airport on March 27, 2019 in Victorville, California. Southwest Airlines is waiting out a global grounding of the MAX 8 and MAX 9 aircraft at the airport. 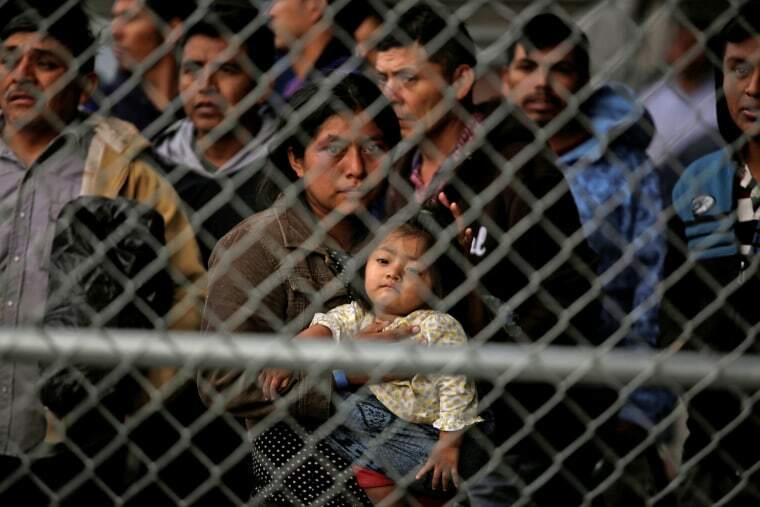 Central American migrants are held at a temporary enclosure under a bridge that connects El Paso, Texas, to Juarez, Mexico, on March 27. The pen was erected by U.S. Customs and Border Protection to process a surge of migrant families and unaccompanied minors. 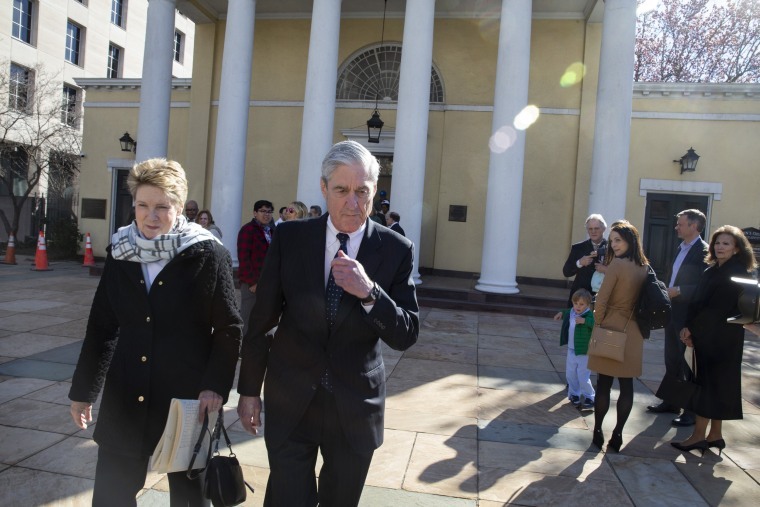 Special counsel Robert Mueller leaves church with his wife Ann on March 24 in Washington, two days after delivering his report to the attorney general about the conclusions of his investigation into Russian interference in the 2016 election. 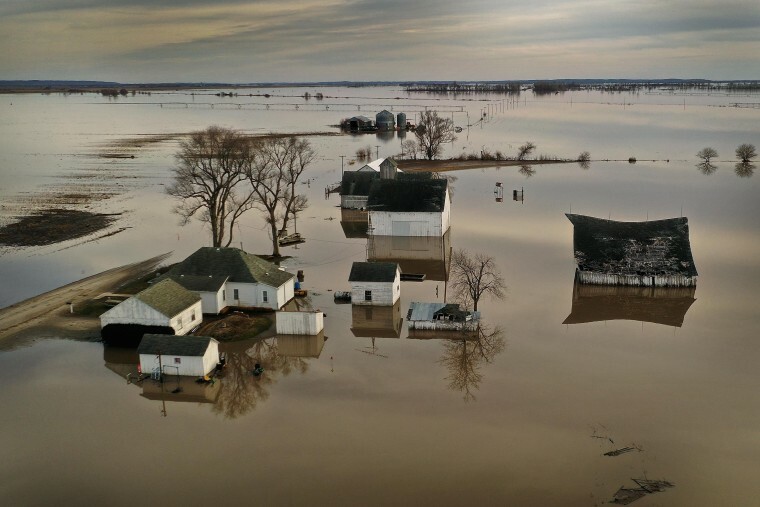 Floodwaters surround a farm on March 22 near Craig, Missouri. 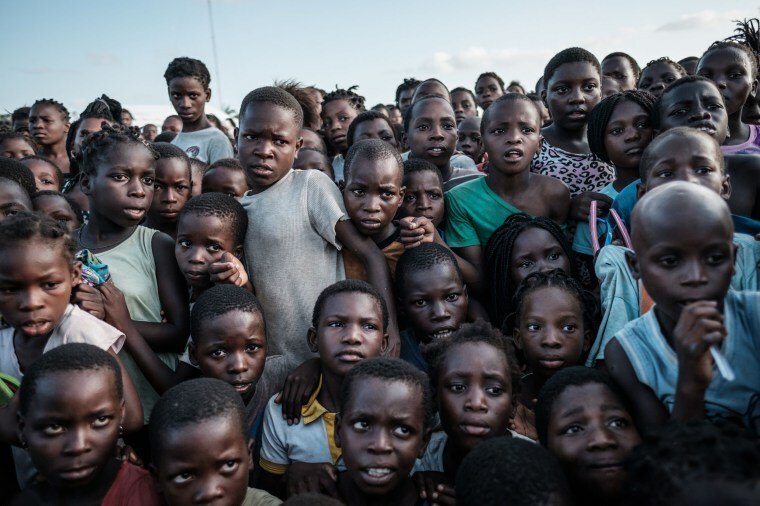 Children wait to receive food at an evacuation center in Dondo, Mozambique, on March 27. Cyclone Idai smashed into Mozambique on March 15, unleashing hurricane-force winds and heavy rains that flooded much of the center of the poor southern African country and then battered eastern Zimbabwe and Malawi. 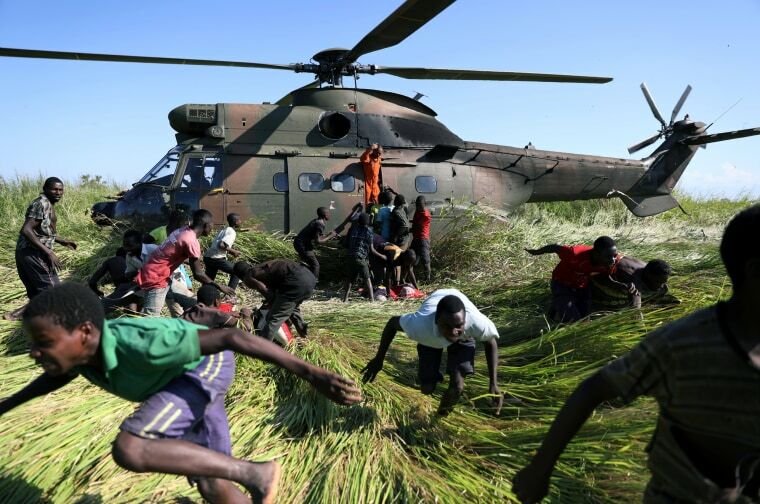 People run after collecting food aid from a South African military helicopter in Nhamatanda village, near Beira, Mozambique, on March 26. 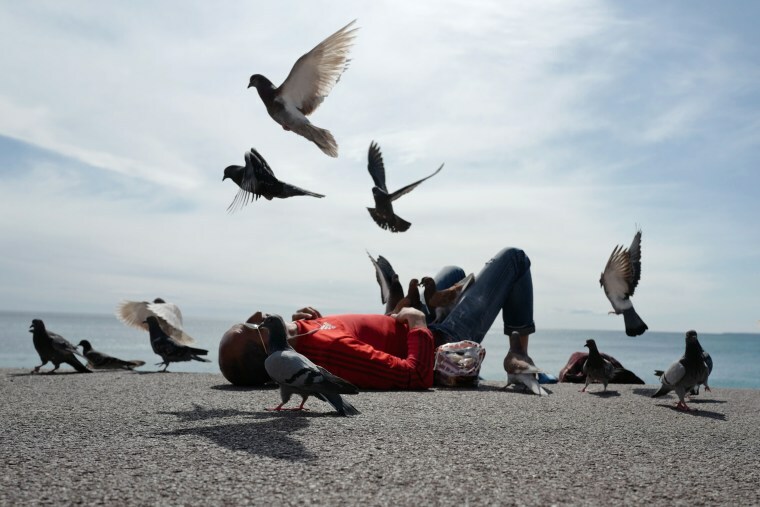 Pigeons surround a man on the Promenade des Anglais in Nice, France, on March 26. 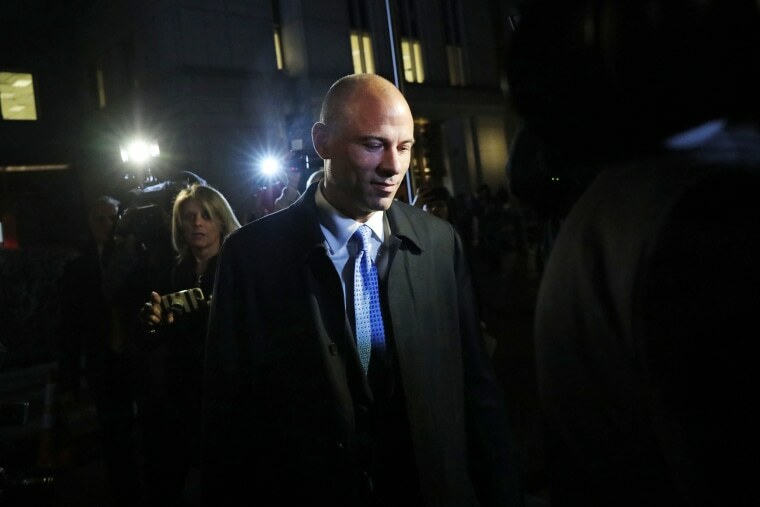 Michael Avenatti, the former lawyer for adult film actress Stormy Daniels, exits a New York court after being arrested for allegedly trying to extort Nike for up to $25 million on March 25 in New York. Avenatti is also facing possible embezzlement charges in a separate case in California. 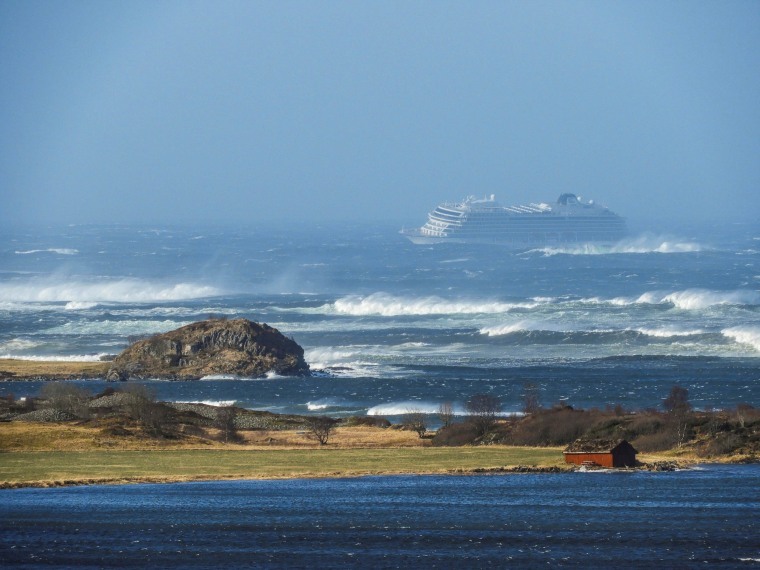 A Viking Sky cruise ship drifts towards land after an engine failure off Hustadvika, Norway, on March 23. Norwegian officials said they have opened an investigation into why the ship set sail despite storm warnings, forcing a major evacuation. 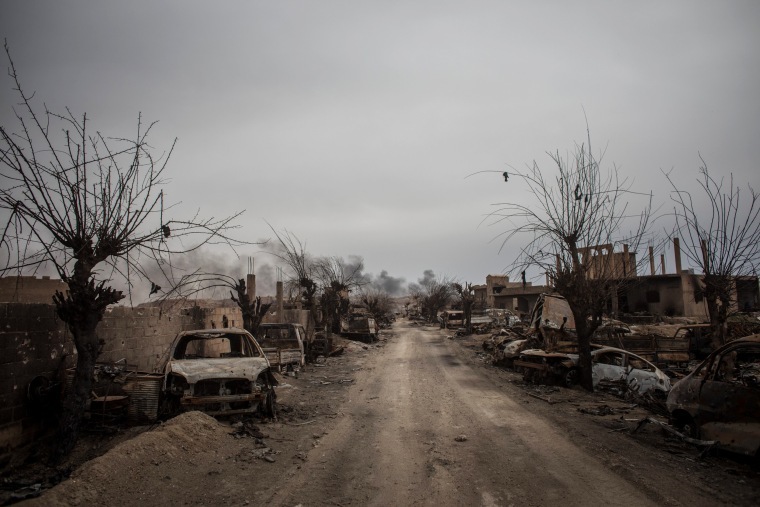 Destroyed vehicles line a road in Baghouz, Syria, the last ISIS enclave, on March 24. The group once controlled vast areas across Syria and Iraq, a population of up to 12 million, and a "caliphate" that drew tens of thousands of foreign nationals to join its ranks. 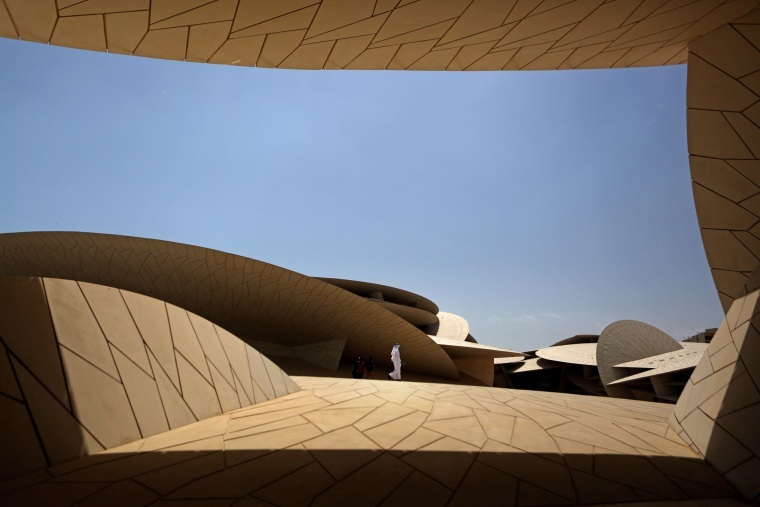 The National Museum of Qatar on March 28 in the Gulf emirate's capital Doha. 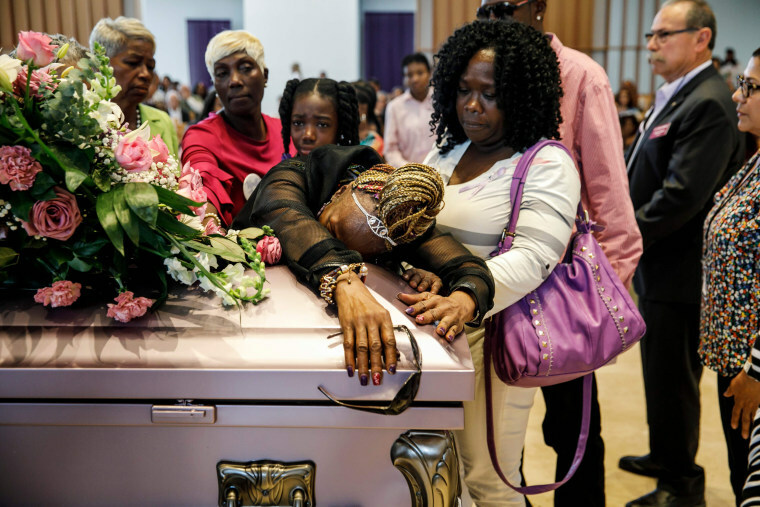 Diana Wilson mourns for her granddaughter, Trinity Love Jones, in Hacienda Heights, California, on March 25. The body of the 9-year-old was found in a duffel bag along a trail in Hacienda Heights this month. 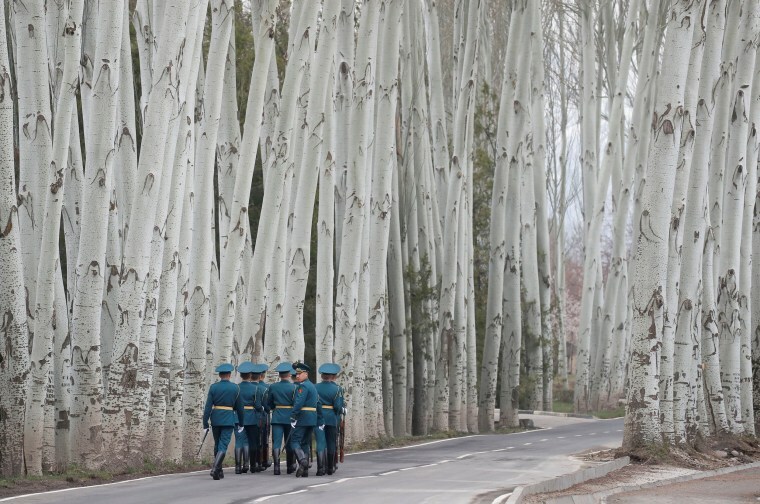 Members of an honor guard walk away after a welcoming ceremony for Russian President Vladimir Putin in Bishkek, Kyrgyzstan, on March 28. 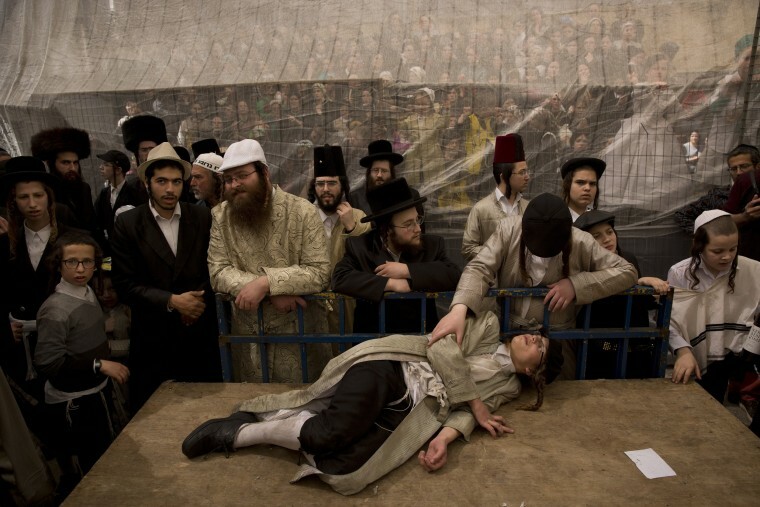 Ultra-Orthodox Jewish men celebrate Purim in the Mea Shearim neighborhood in Jerusalem on March 22. The holiday remembers the Jews' salvation from genocide in ancient Persia and traditionally involves the consumption of copious amounts of alcohol. 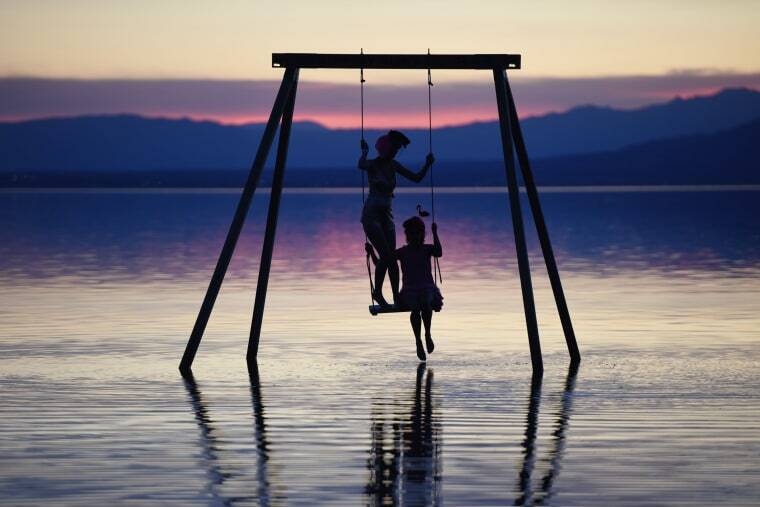 Attendees play on a swing installed in the Salton Sea on the first day of the Biennale on March 22 in Bombay Beach, California. 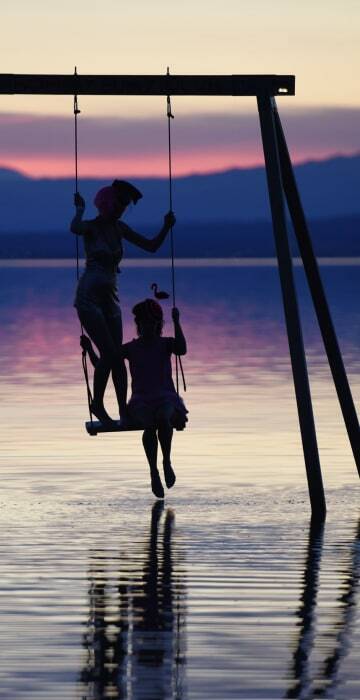 The tiny desert town, once a thriving resort along the Salton Sea, is among the poorest communities in California, but the remote hamlet is experiencing a rebirth of sorts as a group of artists and well-heeled sponsors have taken up residence, buying up dirt-cheap property and organizing an annual three-day festival called the Bombay Beach Biennale.